Look at all this clutter you get at the bottom of Fortune articles. 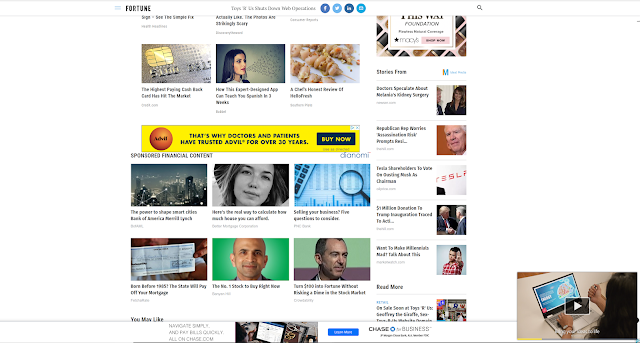 There are four rows of sponsored posts, served by a combination of Outbrain and Dianomi. There's another column of sponsored posts, served by Ideal Media. There are three display ads served by AdSense. And there's a commercial playing in that annoying pop-out window that follows people down the page.